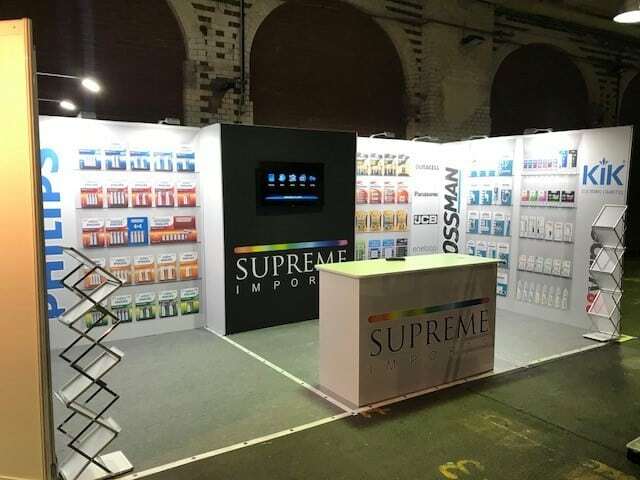 Supreme exhibited a wide product offering including leading brands, Energizer, JCB, Duracell, Bossman, KiK and 88vape at this year’s IFA 2018. Senior Product Manager David Neilson and International Sales Manager Scott Kenna were managing our impressive stand at IFA. IFA in Berlin is a well known global trade show for consumer electronics and home appliances, delivering the latest products and innovations in the heart of Europe‘s most important regional market. Offering an overview of the international market and attracts the attention of trade visitors each year from more than 100 countries. IFA has been known to be the main meeting place for key retailers, buyers, and experts from the industry and the media and as yearly exhibitors of IFA, each year proves worth the visit.